There are already a lot of rumors over the internet, including some leaked photos, specs and gaming performance results of a new Maxwell-based GPU coming from Nvidia next week – the GTX 960. 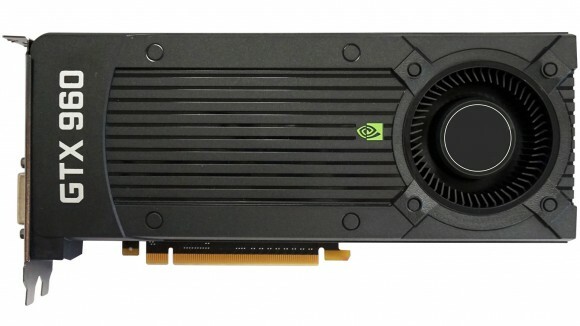 The final specifications of the GTX 960 are not officially announced, but according to the information available the card will come with 1024 CUDA cores, 64 TMUs, 32 ROPs, 128-bit memory bus or essentially half of the specs of the GTX 980. The expected power usage is around 120W or around double that of the GTX 750 Ti with an expected end-user price of about $199 USD ($149 for the 2GB GTX 750 Ti). So with just $50 USD more you could be able to get a new Maxwell-based GPU that could as well provide twice the crypto mining performance of a GTX 750 Ti GPU and if this is indeed true when we see the final card and the actual performance it offers it will be quite an interesting alternative to GTX 750 Ti for mining rigs. That of course is still in the form of speculations as we don’t have officials announced product and specifications, but our expectations based on the leaked data so far suggest that about twice the performance of GTX 750 Ti is possible. We are going to be keeping an eye out for the announcement of the new GTX 960 graphic processors from Nvidia expected next week and are going to be trying out a card as soon as we manage to get our hands on one of these to see what kind of performance will it offer for crypto mining. So stay tuned for more information when it becomes available.